Tomato Explosion 2016 – Dine Out. One Month. Heal Hunger. July is Ripe for Tomato Explosion! Too hot to cook? Dine out throughout the month of July and help Operation Food Search, FEAST Magazine and 100 top local restaurants connect kids at risk for hunger to nutritious meals this summer. Order the special tomato-inspired dish featured on the menu, and a portion of the proceeds will be donated to OFS to support our Summer Hunger Initiative. The only missing ingredient is you! 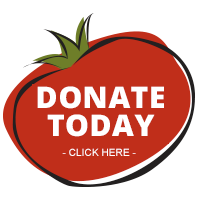 Tomato Explosion offers an opportunity for diners to “Feed the Need – Add to the Tab” and further impact Operation Food Search’s hunger relief efforts. Throughout July, servers at Tomato Explosion restaurants will present a special check stuffer, along with the dinner bill, offering customers an option to fill out a card to make a personal donation in the form of cash, check, or credit card. CLICK HERE for a list of participating restaurants and their tasty Tomato Explosion dishes. Tomato Explosion includes a “Tomato Selfie” contest, sponsored by Presort. To enter, diners may download the Blippar App and be part of the Tomato Explosion Experience by posting a photo of themselves and/or their table guests enjoying their delicious tomato dishes to be entered to win a $100 gift card to their favorite Tomato Explosion restaurant. 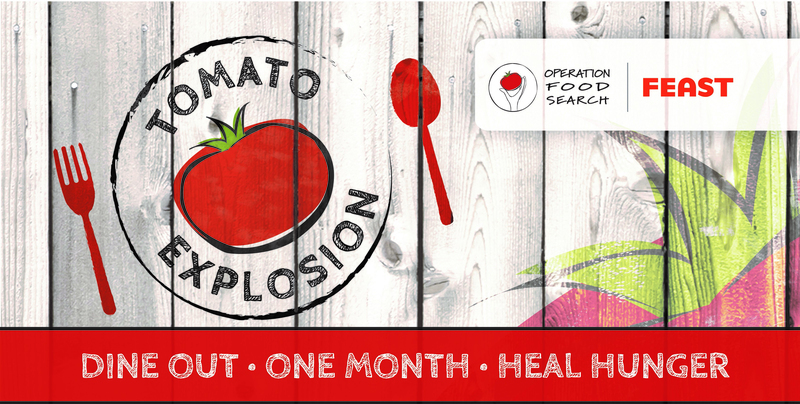 Entries may also be posted directly via Twitter, Instagram and/or Facebook using the hashtag #TomatoExplosion. Tagging Operation Food Search and Feast Magazine on Twitter, Instagram and on Facebook is encouraged. For a full list of participating restaurant and their Tomato Explosion dishes, CLICK HERE.